Showcase your cause to the world and raise money the easy way. Sign up with YouCaring.com for free and simply fill out a form with your details to create your very own free donation website for fundraising. Just add your goal amount, a nice photo and a compelling description. Other people across the country and around the world will then donate to your cause. This company offers free online fundraising and doesn’t keep any portion of your donations, unlike similar services. There’s nothing to sell. It’s all donations. YouCaring.com lets you raise money for virtually any idea, venture or deserving cause you want. Donations are handled securely through Paypal. Paypal charges a small fee (which is deducted from the donation), but YouCaring.com does not. Competing sites that showcase free online fundraisers take a portion of your donations, but this one does not. Why would you want another free web page? It’s all about exposure. The more people see your cause, the more money you’ll raise. Besides, what do you have to lose if it’s free? 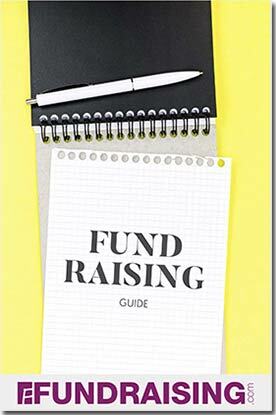 They provide free online fundraising for individuals or non-profit groups of any size. So this works for large charities, like say, Save the Whales or breast cancer research, or your school band, but even for individual fundraisers, for those folks who need money for their personal projects or life events. Check it out to see the additions others have made – and how much they’ve raised – and then add yours. Go here to sign up with YouCaring.